Nobody like job interviews because you never know what Job interview questions will come your way. Well to make your job interview a bit easy we're posting some frequently asked job interview questions with their answers. These are the questions which we has seen interviewer asked frequently during the job interview session. In any interview you probably been asked two kind of questions e.g General Question , Job Specific Question. In our post we're posting 5 frequently asked general questions with their possible answers. Q-1. Tell me something about yourself. This is the question which has been asked in every other interview. In fact this is the question which decide if you'll go in next round or not. While answer to this question start with your qualification & working experience and also tell the interviewer about what you're doing & how you're doing. Try to relate the things you're doing in your current job with the job requirements you've applied for. This is the best time when you can draw attention of interview towards you, after all first impression is the last impression. I've seen many people start speaking about their personal life or something irrelevant while answering to this question. never do that. Don't forget the interviewer is interested in you and not in your personal life so try to tell as much as possible about you & your profile in this question and highlight the points which are relevant to the profile you've applied. Q-2. Why do you want to leave your current job ? This seems to be an easy question and the best answer for this question could be "To advance my career and get a position that allows me to grow as a person and an employee." But sometimes it becomes a trap for you. While answering to this question people start saying ill about their current employer, never ever say ill about your current boss. Money is the second thing people give as a reason to change the job. That is also a bad answer & sounds like you may leave this job as well if you'll get a better salary option from some other company. While answering to this question in any interview only show your interviewer that growth & career advancement is the only reason you're looking for a change. Q-3. What do you think are your three best strengths? This is a tricky question many a times asked by the interviewer. At this question he/she wants to check what you think you're good at. Answer this question smartly. If you've applied for a technical profile, you can say my strengths are my technical skills, understanding of X technology & team management skills. Your answer should satisfy the demand of the job profile you've applied for. Q-4. Why should we hire you? This is again a question to be answered straight forward. You can give an answer like " I believe my skills, work experience & qualification makes me the best fit for this job & moreover i've a X years of professional experience into the similar kind of job." Q-5. Where do you see yourself being in 3-5 years from now? This is another frequently asked job interview question. Interviewer asked this question just to check how serious are you about your career & what are your future career goals. During answer this question talk about how you want to grow with this company & what skills you would like to acquire during the time. Mention any other career ambitions that are relevant to the role you've applied for. These are the job interview questions which we've tried to answer and are likely to be asked in any job interview. 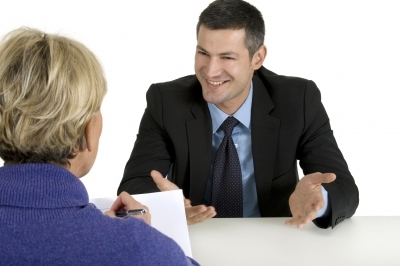 In our upcoming posts we will try to discuss on other questions that may come your way during an interview round.